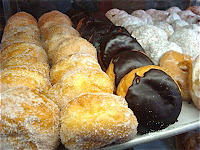 There's only one thing better than adding a new name to the Donut directory, because I will have to go sample the new fare, and that is when the new establishment is only 2 minutes from my house! 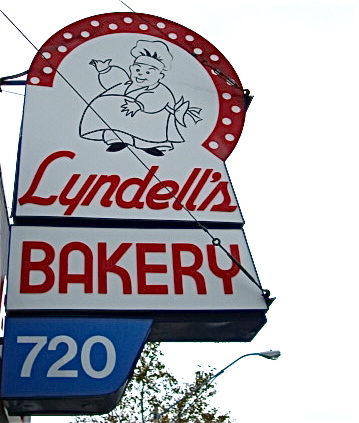 Lyndells Bakery, located in Ball Square, Somerville MA, is just that place. Opened in 1887, Lyndells is one of the oldest bakeries in New England, and well worth the trip whether you are 2 hours away or two minutes. I must admit, I have been to Lyndells previously but was so overwhelmed by the multitude of other cakes, pastry, cookies and cannoli in their display cases that I somehow brushed right over the donuts...shame on you donut man. 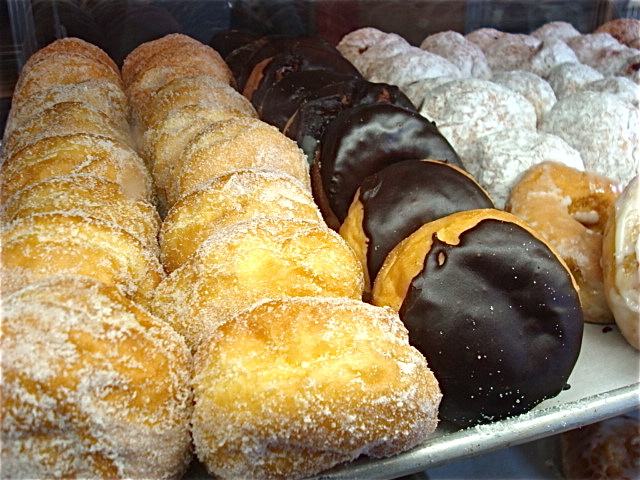 I consoled myself by that fact that I was likely there too late in the day on my previous trip, therefore all the donuts were already gone; something the counter staff affirmed as the usual case this weekend. On to the donuts. In sampling the raised Jelly, my humble standard, I was pleasantly surprised by a very light crunchy crust on the top of the dough and a rather pleasant filling with a hint of grape; unlikely the standard raspberry. The donut was light and I had no greasy after taste- A+ !! The cake twsit we sampled, Lydells version of a cruller, was not only esthetically pleasing but delicious. The ample sugaring and hint of cinnamon through out pairs this well with a cup of joe; again no grease here. Suffice to say my new local stop will be Lyndells...now I just need to get up before the crow flies to get one pipping hot.